The Cadmus Group has hired Jeff Newell as a senior vice president, tapping the former PAE executive to lead the consulting firm’s homeland security and resilience practice area. 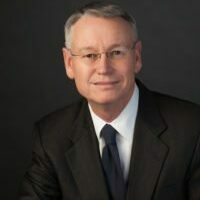 Before joining Cadmus, Newell was vice president of aviation services at Pacific Architects & Engineers, and he previously served as director of strategy and concepts for the U.S. Air Force, leading five divisions responsible for developing future vision and strategy for U.S. air power. Newell has also served as the director of strategy, policy and plans for U.S. Northern Command and NORAD, where he was responsible for campaign and contingency planning for the defense of North America. As senior vice president of safety, security and resilience services, Newell will bring “unique and powerful” experience and capability to Cadmus’ services in the homeland security and preparedness market, Cadmus President and CEO Ian Kline said. During a long career in government service, Newell has served as the military aide to former President George W. Bush, ensuring the president had ready access to the emergency action satchel commonly known as the “nuclear football,” and as the senior military adviser to the State Department special representative for Afghanistan and Pakistan. He was awarded the Defense Superior Service Medal with oak leaf cluster, Legion of Merit with oak leaf cluster and a Meritorious Service Medal with two oak leaf clusters, and is a life member of the Council on Foreign Relations. “I look forward to being part of an extraordinary team and helping our clients prepare for and solve their most complex challenges,” Newell said. Newell will replace Kevin O’Prey, who previously served as Cadmus’ senior vice president of homeland security services. O’Prey will remain a senior vice president with Cadmus, shifting to a new role concentrating on delivery to Cadmus’ clients, further advancing Cadmus’ thought leadership, and developing strategic opportunities across the firm, the company said.